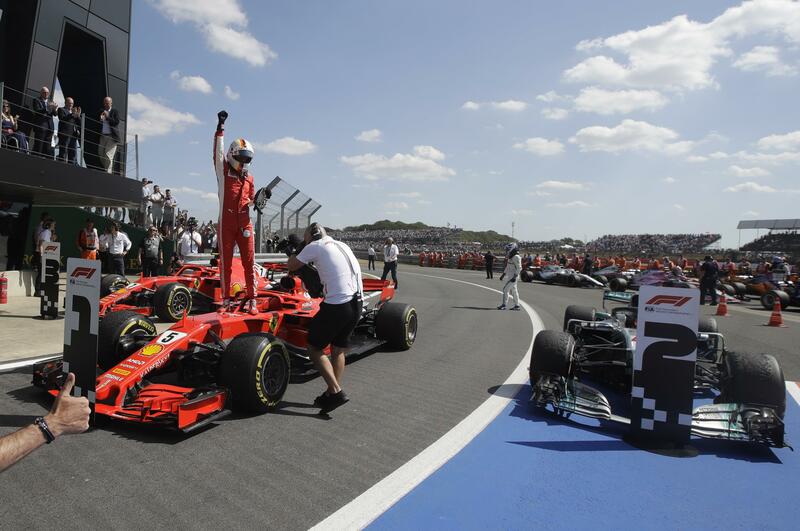 UPDATED: Sun., July 8, 2018, 7:51 p.m.
SILVERSTONE, England – Sebastian Vettel took advantage of a bad start and disastrous first lap for Lewis Hamilton to win the British Grand Prix and extend his lead in the championship standings on Sunday. Hamilton started in pole position but Vettel streaked ahead and his Ferrari teammate Kimi Raikkonen compounded Hamilton’s misfortune when he bumped into him, sending the British driver off the track and leaving him last. Published: July 8, 2018, 7:51 p.m. Updated: July 8, 2018, 7:51 p.m.